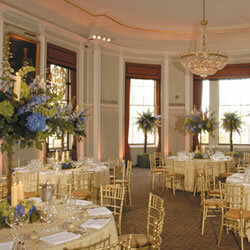 Trinity House offers a unique backdrop for social and corporate occasions: elegant, interesting, tranquil and aesthetically satisfying, with the additional advantages of a central location and a very versatile set of rooms. Five function rooms – The Library, The Court Room, The Pepys Room, Luncheon Room and Reading Room – are available for hire, ranging in capacity from 10 to 120 places and in style from intimate to impressive, and all enjoying natural light. 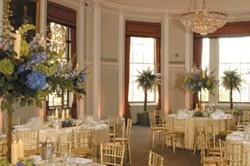 The Library, with the Tower of London as a backdrop is licensed for weddings for up to 100 guests, whilst the Court Room, with its unique painted ceiling is licensed for 60 guests.